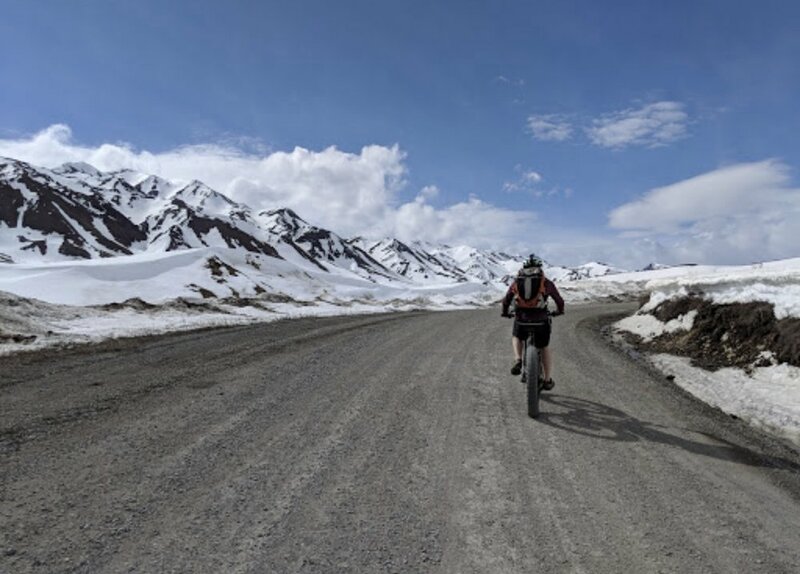 We’re located right off the main highway in Talkeetna, AK and across from K2 Aviation on East Second St. We offer hourly and daily rates for mountain bikes, fat tire bikes, vintage bikes, cross country skis, snowshoes, backcountry skis and pack rafts. Our fully stocked showroom provides all bicycle accessories, bicycle gear, camping gear, warm winter gear and more for a rad adventure. Renting a bike or skis in the Talkeetna area is one of the best ways to see this quaint town and the trails surrounding it. Let's get more humans on bikes.